If you do not have much time to prepare dessert for your party or any special occasion then my today’s recipe will definitely delight you as it’s simple, easy and delicious too. You don’t need to buy much costly stuff. Let’s start this yummy & delicious recipe of cake. Preheat oven to 350 degrees. In an 8-inch pan, mix flour, coco powder, baking soda, sugar as well as salt. Slowly add the oil, vanilla essence, vinegar and cold water. Mix very well and bake for 35 to 40 minutes, until thoroughly cooked. Let cool then turn upside down. What you need for topping of delicious recipe of cake? With hand mixer, mix the butter with the remaining ingredients. Beat on high speed for two or three minutes and cover the cake with this mixture. Here’s the delicious cake ready to enjoy on any occasion. 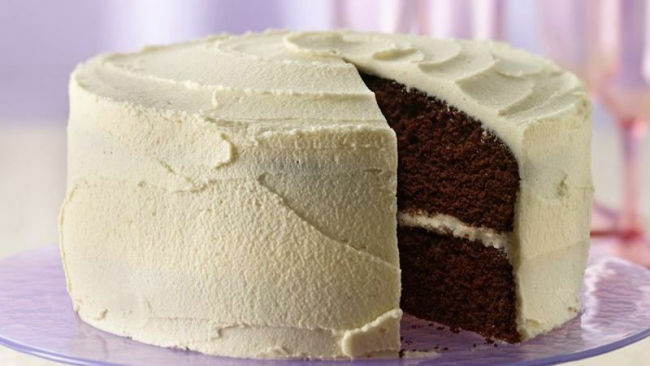 To enjoy this yummy cake you need to follow this delicious recipe of cake.